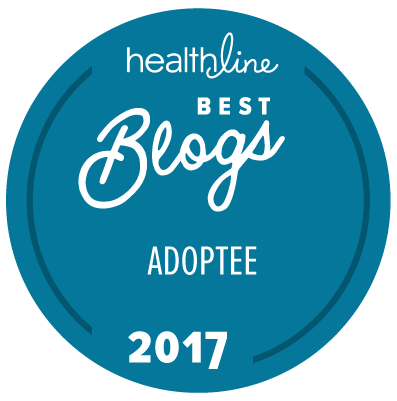 Recently, an adoptive parent was incredibly rude and dismissive about adoptees online, repeating the old trope that happy adoptees were too busy living their lives to be online in adoption groups, and the adoptees online had an agenda. I took the exception to what she was saying about adoptees, but then had to remove myself because it stressed me out too much. I don’t do stress. You say knowing your family health history can save your life. Having knowledge that your family has a history of early age heart attacks and stroke can save your life and prevent events. Well of course I agree with you, that knowledge would have changed my life. If I knew that my family health history included multiple close relatives who had early age heart attacks and strokes, my doctor would have made different choices. But you see, I am just an adoptee, and therefore not worthy of having that knowledge, or even the right to seek that knowledge. Furthermore, you and most of the medical community at large, have not stood up and demanded better for us adoptees. I doubt you even realize there are millions of adoptees in the US, who have no information that could be used to save them from events, that can take their lives in a heartbeat. If you cared, you would talk about it on your TV show. You and the entire medical community would petition the government to change the laws. You would stand up for us, because you deem it crucial to our health and future. An adoptee whose life was changed forever, because no one did the right thing for all adoptees.